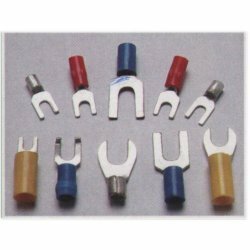 Leading Manufacturer of tongue terminal ends, twin type end terminals, hook terminal ends and modular drive system from Delhi. With the support of our diligent team of professionals and sophisticated machinery, we are able to offer Tongue Terminal Ends. As per the industrial norms, these tongue terminal ends are designed with utmost precision using high grade raw material & modern technology. The given tongue terminal ends are appreciated for their exceptional mechanical and electrical properties. 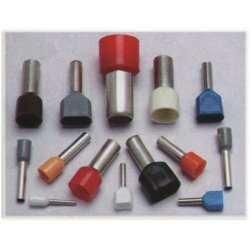 Also, our entire range of tongue terminal ends is offered at most reasonable prices to our customers. Our enterprise has excelled in business by offering elevated quality array of Twin Type End Terminals. These products are designed with finest quality material & leading techniques by our skilled workforce. 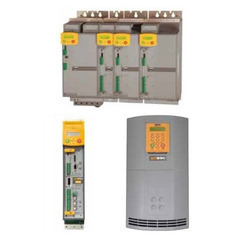 These products are ideal to meet the requirements of control panels, transformers, switch gears and circuit breakers. The offered products are quality tested by our quality controllers so as to supply a fault free range to customers. With continual focus on quality, our firm is engaged in manufacturing, trading and supplying a vast range of Hook Terminal Ends. Our offered hook terminal ends are manufactured using the optimum quality material and leading technology in fulfillment with the industrial norms. 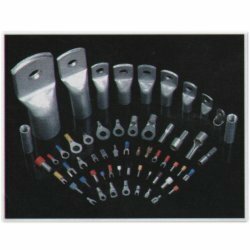 We offer our hook terminal ends in different sizes and specifications as per the varied needs of customers. In addition, these hook terminal ends are high in performance and can easily withstand harsh conditions. Keeping in tune with the latest demands of our prestigious clients, we are actively engaged in offering Modular Drive System. These protection relays can be detached from the body so that the causes of the fault can be ensure without opening the distribution panel door. Our offered protection relays are manufactured by advanced technology & finest quality of material under the supervision of our skilled personnel. Also, customers can avail these protection relays from us in various specifications according to their choices. Looking for Terminal Ends ?